Heat the butter in a heavy based pan over a medium heat. Saute the onion and jerusalem artichokes for about 5 minutes. Add the soup stock and simmer for about 20 minutes with a lid or until they are soften. Meanwhile, fry the bacon in a frying pan without oil until they are crispy. Pat with a kitchen paper to remove any excess oil. Blend until smooth with a food processor or blender. Add the milk and season with salt if necessary. But please remember add the salty bacon later. 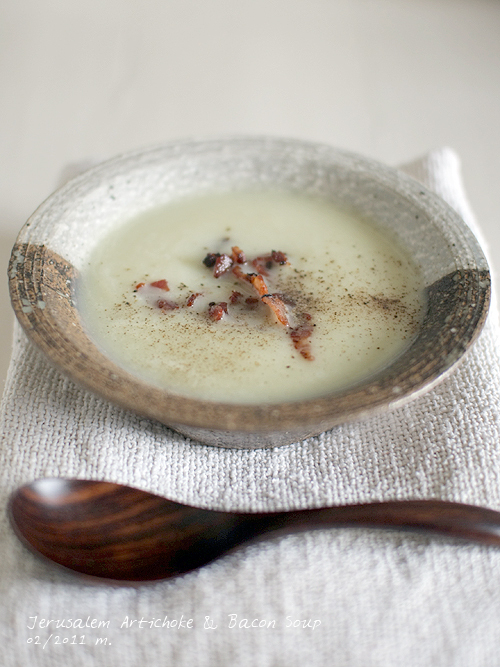 Divide the soup and sprinkle the bacon and black pepper. In a bowl drop the lemon juice into water. 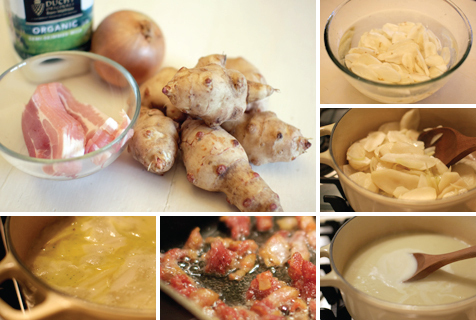 Cut the Jerusalem Artichokes into strips and soak in the bowl. Drain well. 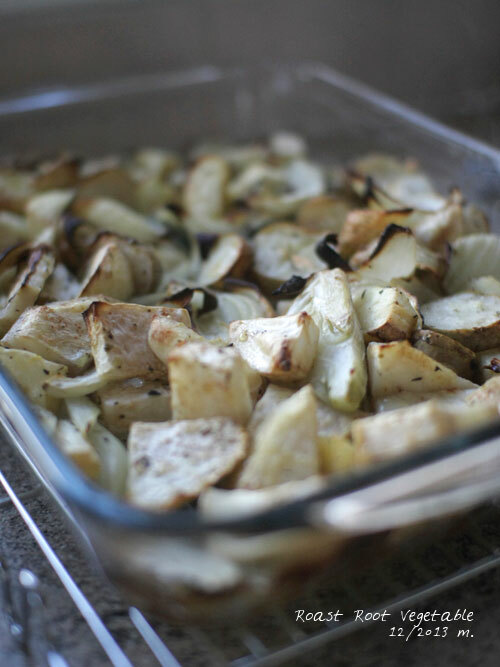 In a frying pan heat the oil over a midium heat and stir-fry the Jerusalem Artichokes for 2~3 minutes until coated. Lower the heat stir in the sake, miso and mirin for about another 2~3 mintues. Turn off the heat and serve immediately. 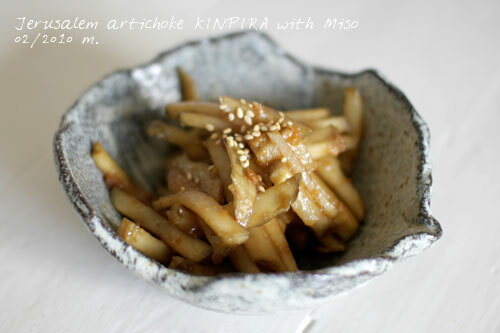 Sprinkle the roasted sesame as optional when you serve.